Review: An excellent trail system. Lots of options. I've been over there several times and am just starting to learn my way around. So far I prefer the trails south of the park office. Well worth the drive from Wichita Falls (~100 miles one way). 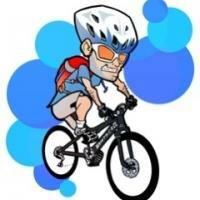 Review: There is actually 40 miles of trails Now. Great trail system with lots of technical rock gardens, tough climbs, and fast descents! It's rough. Review: Rode this trail with BicycleBrad for about 3hrs and probably didn't cover half of it. This is a large network of trails with ups , downs, switch backs, roots and rocks. It was a great workout trying to keep up and had a lot of fun. Ready to go back. Well maintained and not too much traffic. I would classify as intermediate overall but it definitely has some more challenging components. Review: I love the trails! The trails are a mix of technical and flowy single track. The trail has a north and a south side. The south side is very rocky, technical, and tight. The north side is very flowy and fun! There is some rocks, climbs, and decents. This is my favorite trail in Oklahoma. The trails aren't that well marked, but you are able to get trail and park maps at the Lake Murray State Park office. I highly recommend riding this trail. 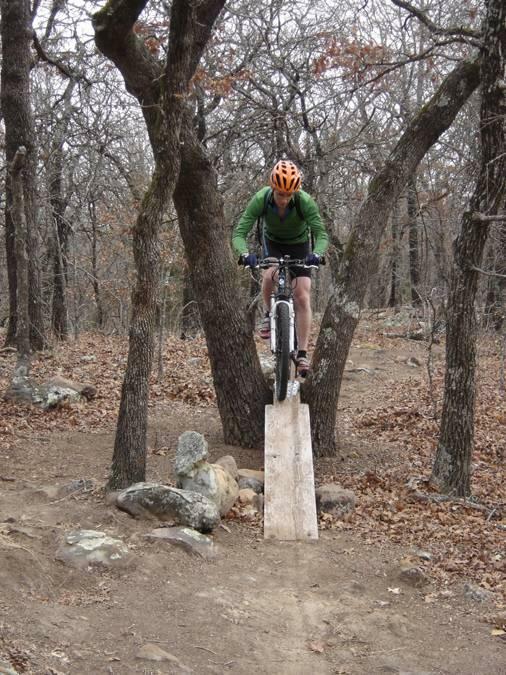 Review: Really fun trails, mostly flowy from Pecan Grove south, with just enough rocks and gulley rollers to keep one on his/her toes. Dry and sandy on Sat. Aug. 6, 2016.
Review: We have an extensive network of trails of over 40 miles of single track. It can be a bit disorienting if you aren't familiar with the trail system. 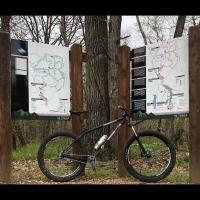 Shoot me an email if you are in the area and would like a tour of the trails. Review: Consider not riding after a rain. I give it a 1 so far. I wasn't forecast to rain last night but it did. There was no mention of wet weather rid-ability, so I thought I would give it a go. I stayed at Cedar cove and rode north. It was a little greasy at first, but the leaves were not too bad, considering it is is November. Then some nice obstacles, that would be fun if it was dryer or if I knew it more.then a few washed out drop in and ups out of gullies that were tough to walk up let alone ride. Probably would be tough dry even. I towards little Moab, for a bit of rock garden, Then trying to follow the big loop arrows, that lead to Duke. I came to a fork that had Duke both ways and went right. It was really getting greasy now, 10 feet in and my front derailleur and chain stays were so packed I could not even force the pedals around. I dug a bunch out and tried to continue, but came up to a big gully that looked like a wash that would have been fun in my 4 wheelin days, but not to slog through on or carrying a bike. I could still hardly pedal. Cleaned some more out. but would pack back up instantly, with clay and leaves and sticks and such. I heard cars on the road so I went back to the other Duke fork, and when I got close to the road I hiked out. I thought it would shake out on the first down hill at speed, NOPE! I had to take the rear wheel off to dig it out. Got back to camp and spent an hour cleaning off the clay and re-lubing. There is a good wind, maybe it will dry up for tomorrow, so I can give it another go. Beautiful lake though. Review: Pretty good ride but giving it a 4 is a little bit generous. It may be funner if you know the trails but it was my first time out. Started at Pecan Grove and went south to a loop that was really good to ride (except for the more than occasional loose sand corners). I'd try a different trail systems if I go out there again. Overall it was worth the stop. Review: Loved, loved, loved this trail. I'd give it a 5 but those are reserved for Epic trails and this is not long enough. This trail has a little bit of everything: rock gardens, drops, fast flowy, dirt, sand etc. Not as well marked as other trails I've rode but I liked the adventure. Lake Murray State Park MTB Trail 3.96 out of 5 based on 21 ratings. 21 user reviews.